Fracking plans in Lancashire should be rejected due to the “unacceptable” levels of noise and pollution it will create, a report recommends. Lancashire County Council’s planning officer advised against giving energy company Cuadrilla permission to frack, citing the “severe” impact it would have on the local community. Cuadrilla is awaiting permission from the council to explore for shale gas on two sites in the county. The council is due to decide next week. If the council takes the advice of the planning officer, it will be a major setback for the British government’s plans to develop shale gas. Chancellor George Osborne pledged to extend a system of deferred tax relief to shale gas companies in his Autumn Statement last year. In a bid to win over affected communities, he also promised to set up a “sovereign wealth fund” which would redistribute profits from fracking across the North of England. However, Wednesday’s report highlights the concerns local councils have about the industry. Lancashire’s planning officer investigated drilling applications for two sites in the county, one at Little Plumpton and another at Roseacre Wood. The report advised against shale gas exploration at the Little Plumpton site due to the concerns of noise pollution, stating it would “unnecessarily and unacceptably” affect neighboring residents. For the Roseacre Wood site, the report advised that the increase in traffic from heavy goods vehicles would affect road safety and result in an “unacceptable” impact on rural roads. “The whole country is looking to Lancashire to protect its communities from the unnecessary risks that fracking plays with our futures,” he said. A Cuadrilla spokesperson said they were “very disappointed” by the planning officer’s recommendation. “Noise and traffic are the two remaining issues, but there isn’t a development in the country that hasn’t had to address noise and traffic,” he added. Wednesday’s report comes a month after New York became the second state in the US to ban fracking, citing serious health concerns. 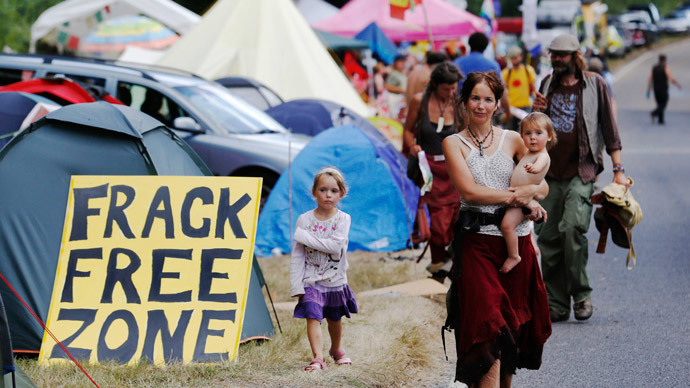 “I asked myself, ‘would I let my family live in a community with fracking?’ The answer is no. I therefore cannot recommend anyone else’s family to live in such a community either,” he said.